According to common categorization, there are six different types of depression, which range from relatively mild to severe. Following is a description of each of them. This type of depression is what many people normally know about. This is the classic depression or what is often referred to as clinical depression. Psychiatrists define major or clinical depression as that type of depression that dwells on the gloomy end of the spectrum, thus it is likewise referred to as “unipolar depression.” A person with this type of depression gets sad thoughts, unable to control it, stays with being sad for a long period of time and is most likely to hate himself rather than other people for being the way he is. A person with this type of depression needs utmost supervision. He is very likely to inflict harm to himself. 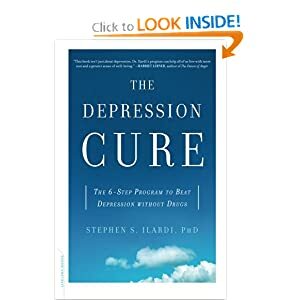 Which is why, with clinical depression, a person must be treated with medications. This is to prevent suicide from happening whenever he falls into self-hate and loathing which is very common to this type of depression. The second of the 6 different types of depression is dysthymia more known to many as chronic depression. With this type of depression, a person usually experiences depression symptoms way milder than that of major depression. However, if a person with major depressive episodes experiences the major blues for weeks or months, a person with chronic depression, on the other hand, feels the blues (although mild) day in and day out for a minimum of two years. The feeling of hopelessness, sadness, insomnia and having eating disorders are experienced for a long time, as though having those feelings is just part of the daily life, or that sadness is the regular menu of the day. 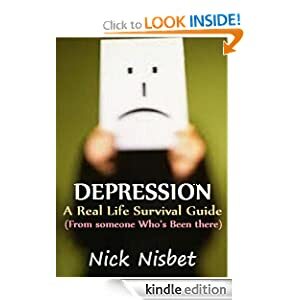 People falling under this type of depression sometimes fall into major depression. A person with dysthymia or chronic depression requires treatment so as to give the person a chance to live a normal life during his depressed state. If there is unipolar depression there is also bipolar depression. This condition is characterized by mood swings – someone might be extremely happy one moment and then go into a melancholic state within a short period of time. These states are also referred to as “mania” and “hypomania”, the two opposite poles in mental state – thus the term “bipolar”. There are people who get depressed during fall or winter – they have what psychiatrists call seasonal effective disorder (SAD). Whenever a certain season hits, they fall into depressed state, their hormones change and they can’t function well, just like a person in a major depression. What’s different with people with SAD is that when the depression season ends, they get well and function normally again. Stressors for SAD are not limited to changes in climate. It includes celebrations such as a birthday (his or of someone close to him), Valentine’s Day, Christmas or New Year’s eve. This type of depression makes someone difficult to live with. The sufferer may become hypersensitive emotionally, go into panic attacks, overeat and oversleep. This may prevent him or her from forming a lasting romantic relationship because the symptoms may drive the other person “nuts”. This type of depression is mild and can easily be cured compared to other types. Of all the different types of depression, psychotic depression is the most severe type. With this type of depression a person experiences hallucinations, hears voices and gets delusional. If a person with mild or major type of depression goes untreated, he or she may suffer from a psychotic breakdown.